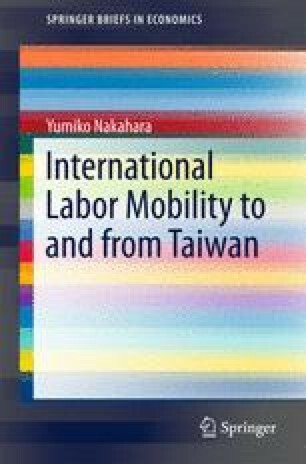 The introduction of foreign labor to Taiwan is based on the principle of supplementary. Employing foreign laborers usually costs more than employing Taiwanese because the cost of foreign labor includes taxes and fees, housing and meals, and so on. In addition, the application and management process is burdensome. Thus, the incentive to proactively employ foreign laborers might be weak. However, foreign laborers take jobs that mitigate the unskilled labor shortage, reduce the barriers to return investments from China to Taiwan, and keep the optimal operation in Taiwan. Regarding foreign caregivers, the work differs significantly from that of Taiwanese caregivers, thus foreign caregivers might not influence the job opportunities of Taiwanese caregivers. Rather, they are indispensable caregivers, whose services will be increasingly in demand as Taiwan’s population ages. Moreover, foreign caregivers might help to prevent Taiwanese women’s exit from the workforce to care for family or household responsibilities.